One of my favorite holidays growing up was Valentine’s Day and it still is! I enjoy creating treats that are simple to prepare, taste delicious and look pretty. When making these delightful sweets, I tried to find the ingredients with the least amount of additives. The worst ingredient, of course, is sugar. But each lollipop has less than 100 calories. The idea for this treat came from a “pin” that I had pinned over a year ago from One Little Project. This “lolli” is so cute and yummy that I hope my daughter will make it someday when she has kids! 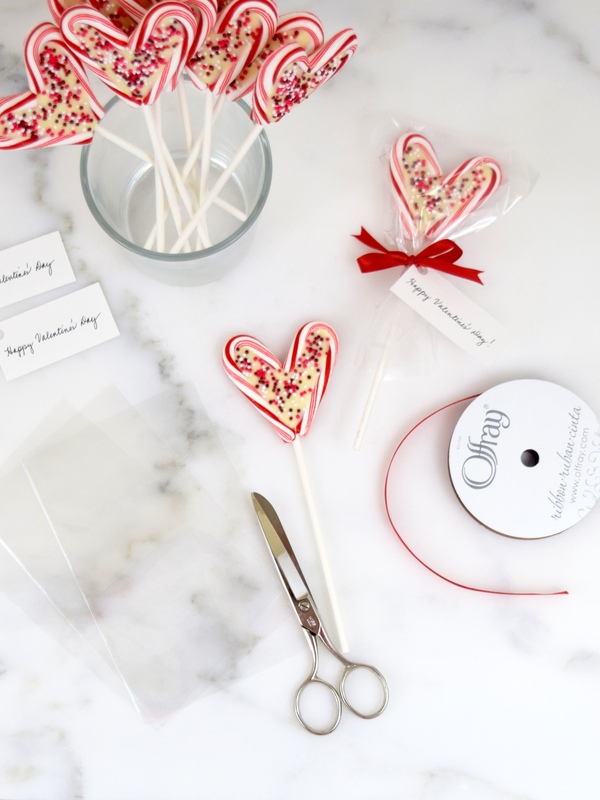 Place lollipop sticks on a parchment lined cookie sheet. 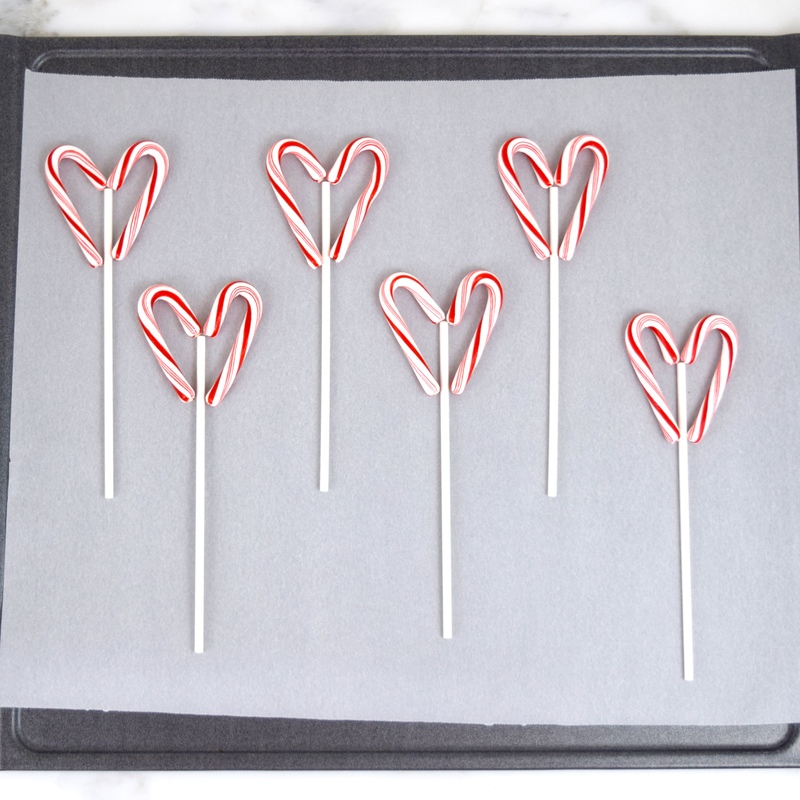 Arrange the candy canes at the top of the sticks in the shape of hearts. Place the hearts in the oven for 2 minutes. Remove from oven and press and shape the candy canes together to make hearts. 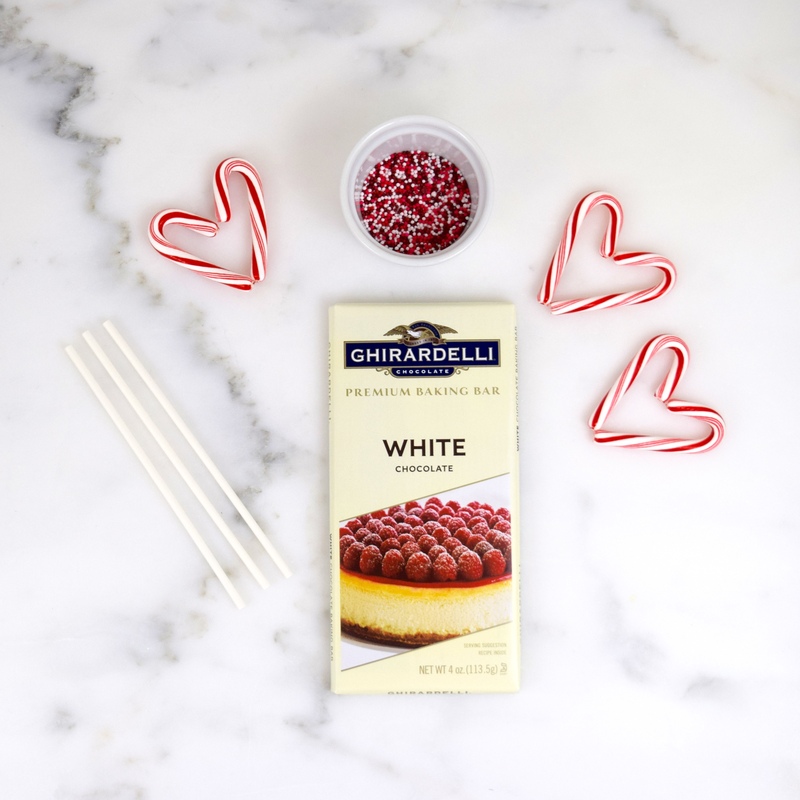 Fill the centers with a few teaspoons of melted white chocolate and then add the sprinkles. Place in the refrigerator for about 10 minutes to harden the chocolate. The hearts should come off easily from the parchment paper. Makes 10 lollipops. 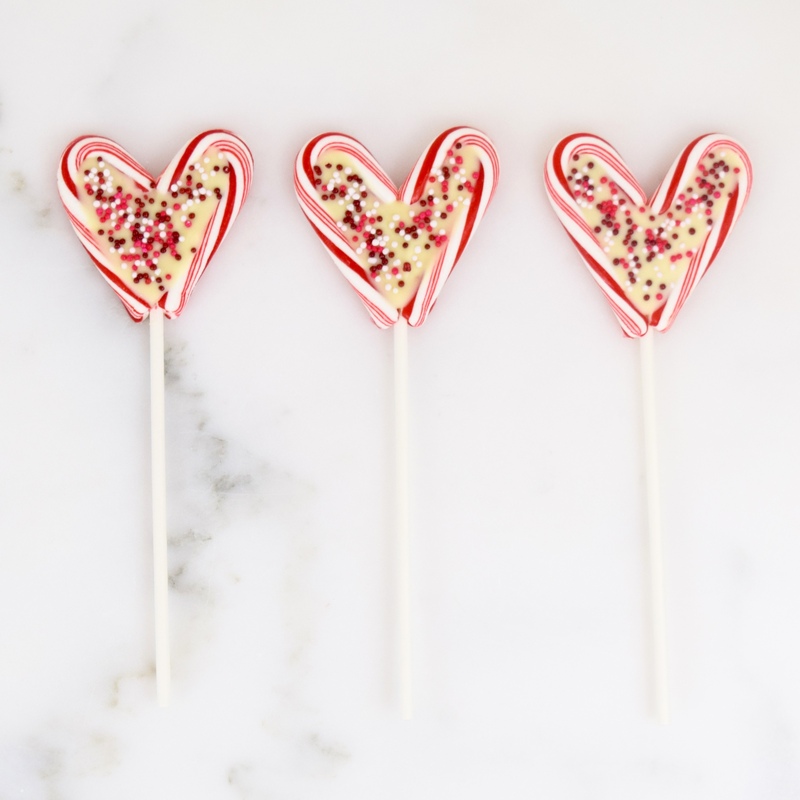 These candy can hearts are just adorable! I can really see using them as place setters at a party, or using the small candy cane hearts with hot chocolate. You’ve got my over worked brain moving again! Thank you for sharing this pretty idea with your FF friends! Julie, I so glad you like my lollipops and that I got your brain moving again! Happy FF! What a cute recipe! Perfect for Valentine’s. Happy FF! Thank you so much, Arlene! 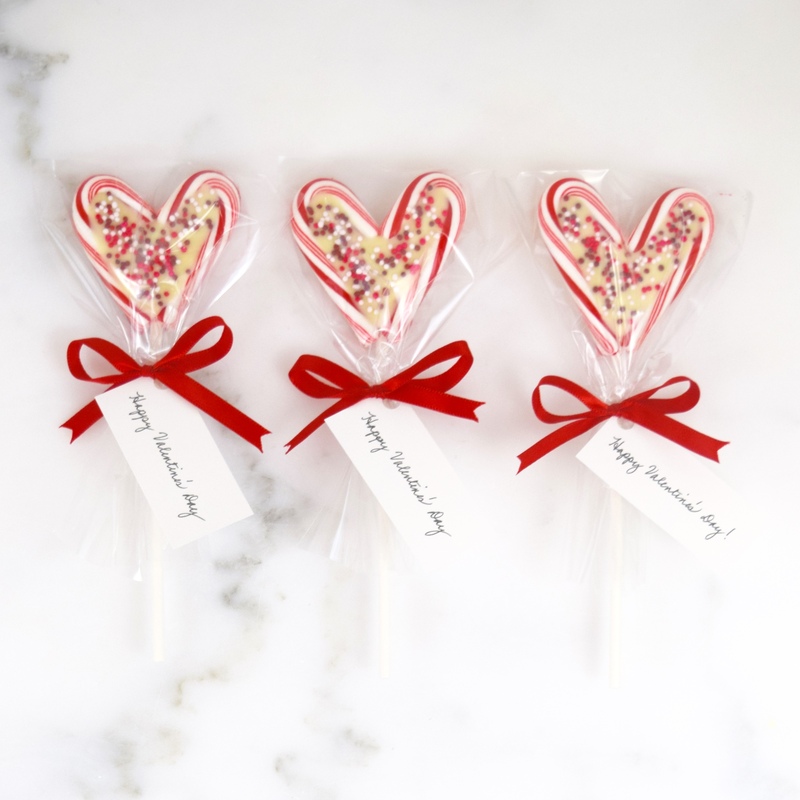 Love those lollipops, they would be very popular for Valentine’s Day for sure. How very original! Thank you Loretta, but I can’t the credit. I got the idea from a pin on Pinterest. Yes, I wish I had kids at home! Thank you!